As part of our Online Fundraising Fundamentals series, we’ll be spending every Wednesday for the next month giving you the tips and tricks you need to run a successful Peer-to-Peer fundraising campaign. Later in our series we’ll run through the actual process of setting up a Peer-to-Peer campaign using our Online Fundraising software. But, for now, let’s start at the beginning. If you’ve read any of our past few posts you know we’re kind of obsessed with trying to help our clients grow their donor-base and expand their reach using peer-to-peer fundraising. That isn’t just because we know that charitable giving is expected to drop while the demand for services from the nonprofit sector steadily increases. And it’s not just because we know that people trust their friends far more than they trust us. It’s because it works. A well executed Peer to Peer fundraising campaign can increase your donations three-fold. One of the best ways to ensure your Peer to Peer fundraising campaigns succeed is to provide your supporters the best possible foundation to work from. While we can provide the best-in-class technology, building that proper foundation can still take a little bit of work, but don’t worry, over the next few weeks we’ll run through all of our best practices to help you set up and run the most successful peer-to-peer fundraising campaign possible. The fundamental difference between peer-to-peer fundraising and more traditional online fundraising campaigns is the ability for your supporters to tell their own story about why they support your non-profit, and to give them access to the best in class fundraising tools available so they can use that story to help raise funds for your nonprofit. This allows you to have your supporters expand your donor base using their own social and professional networks. Just like any fundraising campaign, there are some key pieces to ensuring its success. 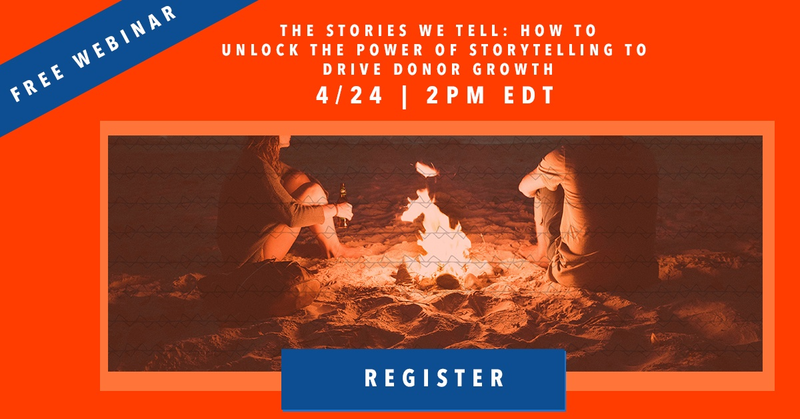 Things like setting specific goals, crafting a compelling story, making your donor the hero in your communications. All of these are still true when you’re launching a peer-to-peer fundraising campaign. The good news is that our online fundraising tool has some of those essential best practices, like getting your supporters to set specific goals, baked into it. So the biggest hurdle you will face is helping your supporters craft an effective donor ask. Asking your supporters these three questions can help them craft the best possible pitch to their friend group and help them build the most effective donor ask possible. Whether your build them directly into your sign up process when supporters are setting up their fundraising page or not, make sure these questions are included prominently in your communications with donors when you’re asking them to set up a peer-to-peer fundraising campaign. 1.) Why does this fundraising drive matter to you? Every single one of your supporters is going to have their own reasons for supporting your organization. For some it will be their faith, for others their family. Asking this question upfront, digging into the personal story is going to be essential to crafting an effective fundraising pitch. 2.) What will this fundraising drive accomplish for your community? Our friends and family are all connected as a community. It’s important to remember this when you’re helping your supporters craft their pitch. Why does this fundraising drive matter to their community as a whole? Will it help them build a playground in their community? Will it help them feed the homeless? Get specific. 3.) Why does it matter that they give now? One of the biggest pieces of an effective donor drive is a sense of urgency. Are you building up to a specific event? A specific goal? Why is it urgent that people support you now? Making sure your supporters are clear on that will help drive donations from their community. If you’re interested in running a peer-peer fundraising campaigns, asking these three questions of your supporters during the setup process will help them refine their pitch and help drive more donations. Do you have any best practices for peer-to-peer fundraising campaigns? Let us know. And if you’re looking for the tools to help, get in touch, we’d love to talk.